Under Indiana’s Safe Haven Law, which was enacted in 2000, babies up to 30 days old can be surrendered at a fire or police station or hospital emergency room with no questions asked. 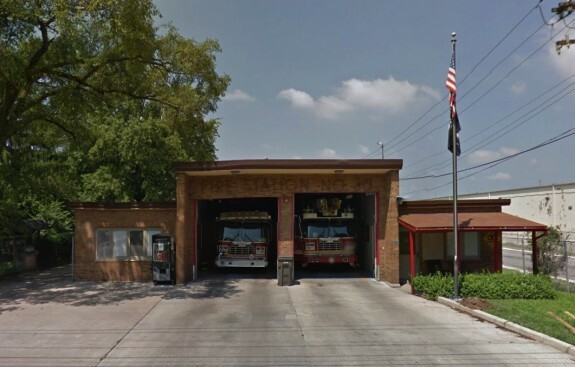 In its 16 years, no child has been surrendered under the law before Wednesday when a man surrendered a newborn baby at the IFD Station 30 in Indianapolis. Just before shift change at 6:40am, firefighters heard a knock at the firehouse door. “They answer the door and there is a young, African-American gentleman about 25 years old, standing there holding a baby,” said Reith. The one-day-old baby boy, with his umbilical cord was cut and clamped with a hair clip, was checked by paramedics and taken to a local Health. “In this particular case, this gentleman did exactly what we wanted him to do,” said Reith. It’s not known if the man who dropped off the baby is the father. But under the safe haven law, he doesn’t have to identify himself. 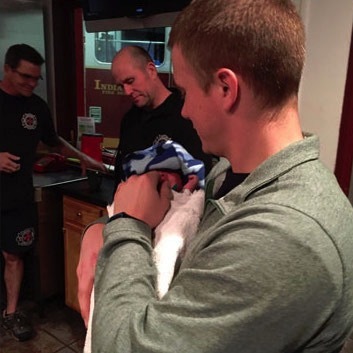 The most important part is that he brought the baby inside and handed it over to the firefighters directly so they could get the baby checked out immediately. 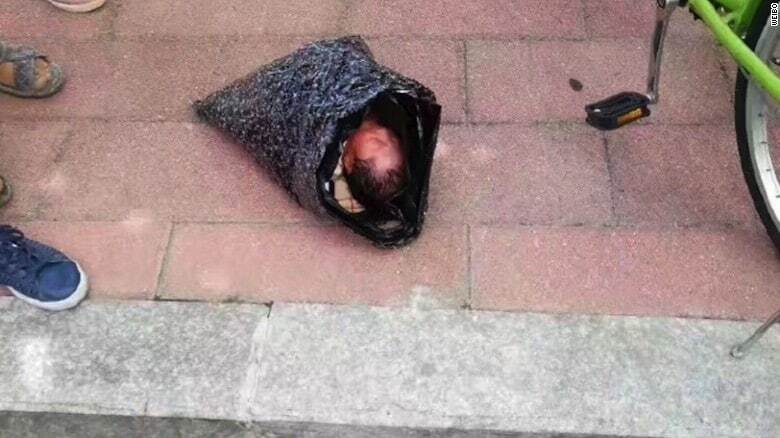 That baby is reportedly doing fine and is in the care of Child Protective Services. The man also gave firefighters additional supplies for the child. Often parents in crisis will leave their baby anonymously outside the fire department or church to avoid being identified in the community. In these cases parents can be criminally charged for child abandonment. Sadly there will be 100 deadly newborn abandonments across the country in any 18 month period you choose, from recent start date to 18 months out. What is the response of the major safe haven awareness campaigns across the country? You’re seeing exactly what they do in this article. The same exact response to deadly newborn abandonments took place just weeks ago in Illinois. Same in Indiana, New Jersey, Michigan, South Carolina, and most of those states these where deadly abandonments happened multiple times in the last six to twelve months. California has 5 or more abandonments per year. They have multiple funerals, and a dedication of a park to the safe haven children by a 70 year old county supervisor. Where isn’t this endless set of senseless tragedies taking place? Massachusetts. We’ve had only one deadly newborn abandonment in the last 9 years! 4 out of the last 5 calendar years have had zero newborn abandonments! What is Massachusetts doing to stop 90% of newborn abandonments? That’s right we’ve stopped 90% of newborn abandonments!! We use standard demographic marketing of our Baby Safe Haven law!! It’s teen and 20 year olds that use the laws, and they are the ONLY ones you see out in the media promoting Baby Safe Haven in Massachusetts! NEVER do you see a 50+ year old official using a shaming message against Generation Y or Z. It’s peers helping peers in crisis. AND IT WORKS!! All the states who use the old advocates, old so-called “experts,” old officials and old politicians to exclusively promote their laws have the HIGHEST numbers of newborn abandonments! And every single one of those states does this exact same strategy again and again when another deadly newborn abandonment takes place. It’s insane! They all know that Massachusetts has stopped 90% of these tragedies, but they refuse to follow a program that puts teens and 20 somethings out in front of the press every single time. 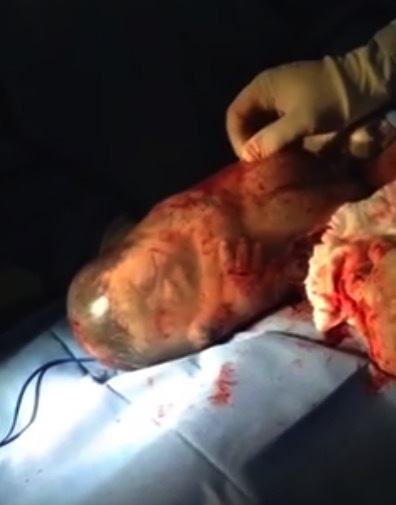 The old officials, and so-called experts, see their face time as more important over the death of the next newborn. And there will be another deadly newborn abandonment again, sometimes in just weeks, because they can’t communicate with Gen Y & Z. It’s insane! !